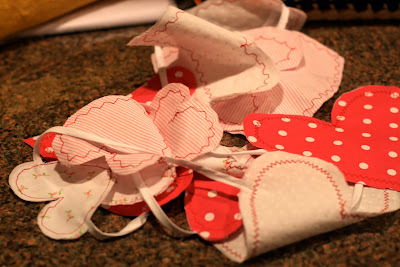 I've had my mind on making something to hang every Valentine's Day-week. 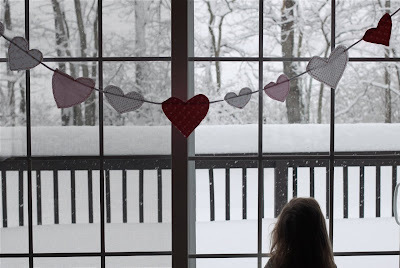 I put this together last night once the kids were down--so it doesn't require too much time. 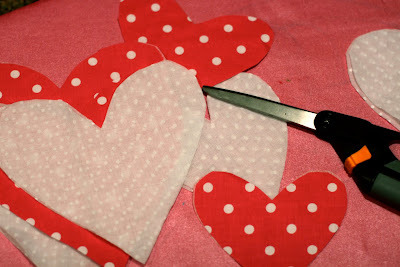 I picked a hand full of fabrics and began cutting hearts (double up your fabric to get a front and back) and varying sizes. experiment with different decorative stitches. 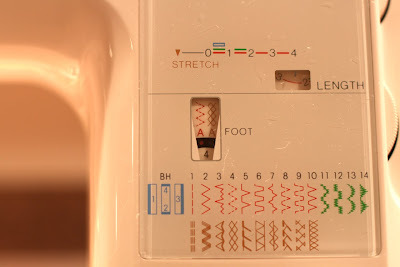 Above is the stitch setting for the following stitch. 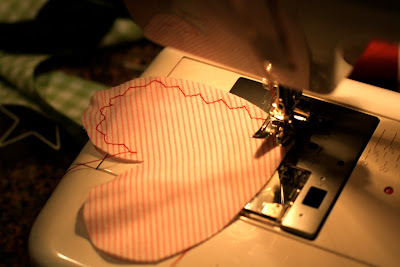 Stitch the front and back of each heart together. Trim. 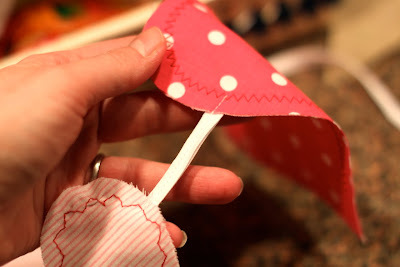 Beginning at one end of narrow bias tape, sew a seam down the middle, about a foot worth. 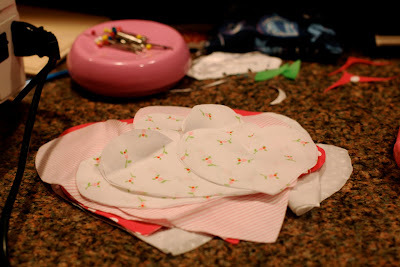 Now add a heart: sew 1/2 an inch of a corner of the heart and backstitch. Trim. 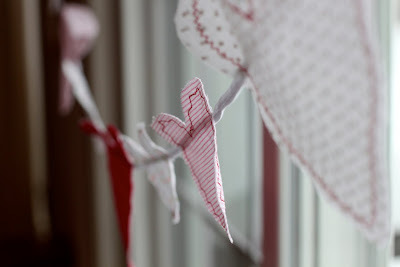 Now move the heart and bais tape along and sew the other corner about a 1/2 inch to secure. Backstitch. 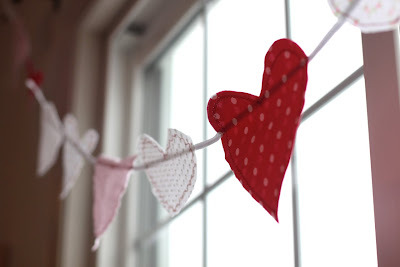 Continue until all of the hearts are sewn onto the bias tape, making sure to stitch the bias tape in between each heart and finishing with about a foot of just stitched bias tape, in order to hand the garland. 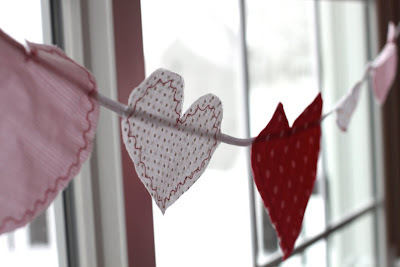 It is nice to have it hanging in the kitchen because it's keeping me on my toes to remember Valentine's Day is Sunday!